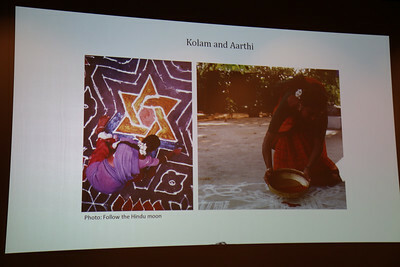 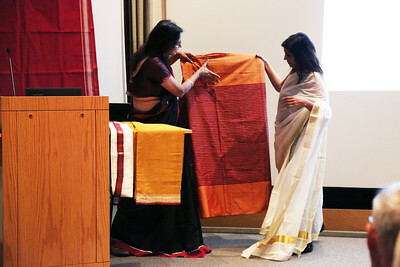 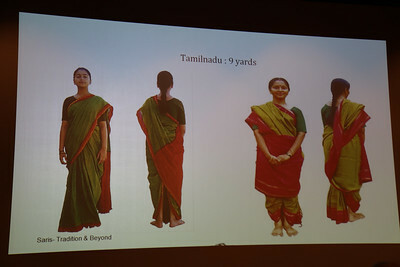 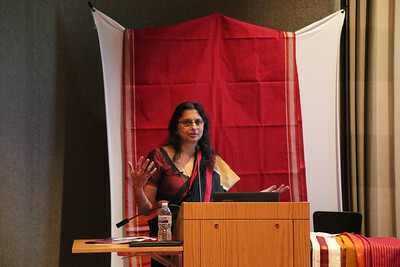 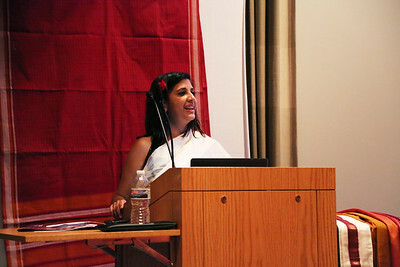 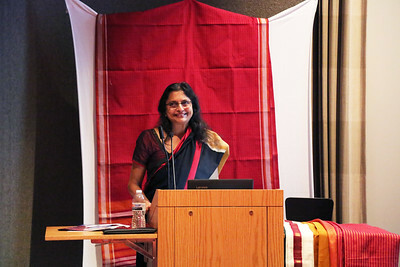 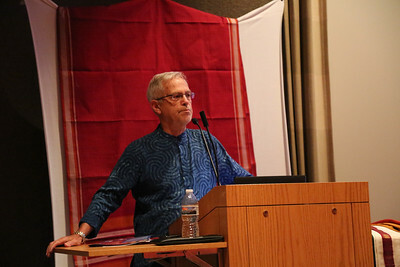 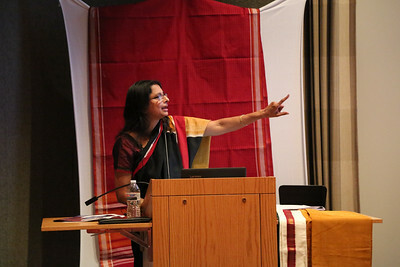 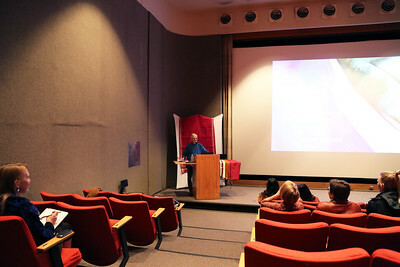 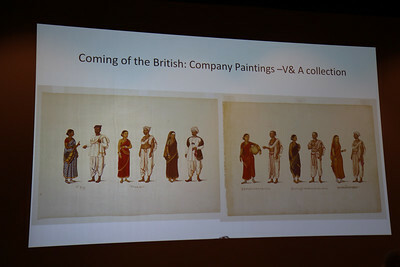 On Tuesday, October 18, visiting artist Lakshmi Narayan Kadambi, expert on draping, tying styles and contemporizing traditional craft, gave an artist talk on the history of draping styles of India. 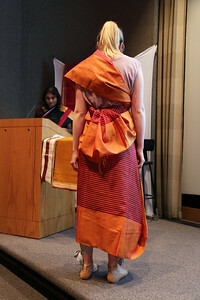 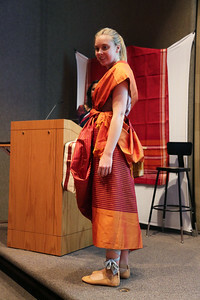 The talk also included some draping demonstrations! 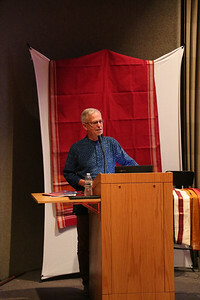 Henry Drewal introduces Meeta Mastani. 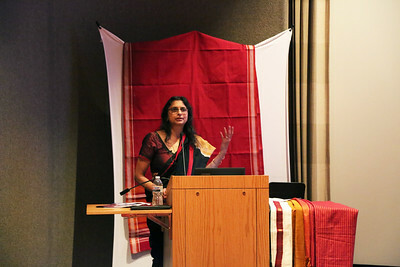 Fall 2016 Interdisciplinary Artist in Residence Meeta Mastani introduces Lakshmi Narayan Kadambi. 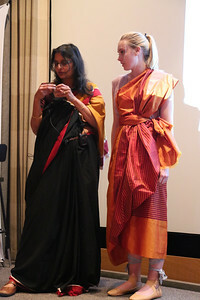 Lakshmi Narayan Kadambi, expert on draping, tying styles and contemporizing traditional craft. 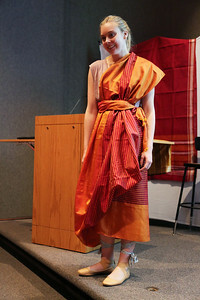 Demonstrating a drapery style on student Molly Mapstone (Art History, French).